I have always loved Avon. My grandma was an Avon lady. My mother always used it, too. Avon is a brand that has my complete trust because I know that their products are made of only the highest quality of ingredients. I was excited to find out that Avon’s newest skincare innovation, NutraEffects, has recently launched on Avon.com. I knew this was something I wanted to try out. A seed is one of nature’s most powerful creations, it’s the source of life itself. Avon NutraEffects has harnessed this power into its breakthrough Active Seed Complex. The complex is made with Chia Seeds which are used as the hydrating base ingredient across all of the products within the range. The powerful hydration quality comes from the blend of Chia Seeds which can hold up to 12x their weight in water and are rich in omega 3 fatty acids. 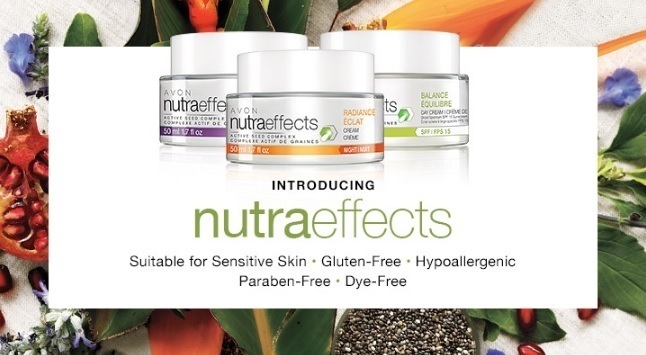 In addition to this, each NutraEffects formula is then blended with other nutrient rich seeds and skin loving antioxidants to target one of four skin care needs: hydration, balance, radiance, and signs of aging. Formulated with the antioxidant-packed Chia Seed, which is one of nature’s superfoods and known for its ability to hold moisture, these deeply hydrating creams improve texture and provide 48-hour hydration to soften dry, rough skin. Designed for dry to normal skin. Made with a formulation of Chia Seed and specialized mattifying powders working together to reduce oil, minimize the appearance of pores, and help keep skin balanced and shine-free. Designed for combination to oily skin. Designed to rejuvenate dull skin, even out skin tone, and restore the complexion’s natural glow, these radiance-boosting creams are formulated with Birds of Paradise Seed, an ingredient known for its ability to brighten and reduce the look of pigmentation. These anti-aging products are all fortified with pomegranate extract, which is known for its powerful age-defying properties and packed with vitamins and antioxidants. 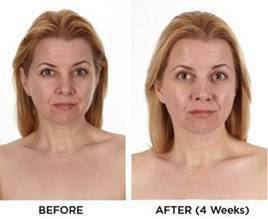 All three creams firm skin, nourish the complexion, and reduce the appearance of fine lines and wrinkles. The Avon NutraEffects Skincare Regime completely agrees with my skin! I love it. 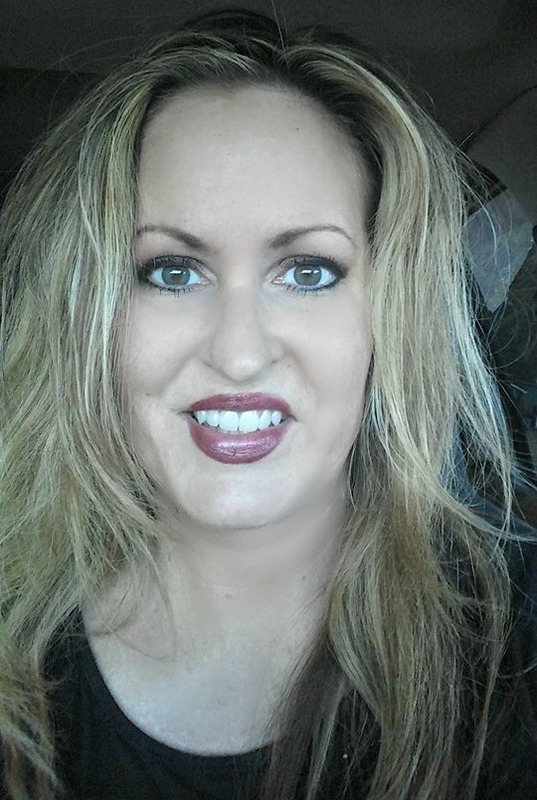 Being a beauty blogger, I am blessed to be able to try out and test many different skin care products. Once in awhile, one will come along and I am thinking, "Wow!" Good Karma Skincare's Lux 7 All-in-One Face Cream is one of those products. 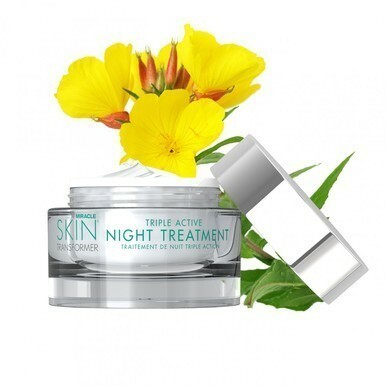 It combines a day cream, night cream, refining serum and eye cream all in one jar! Plus, it really works wonders on my skin! 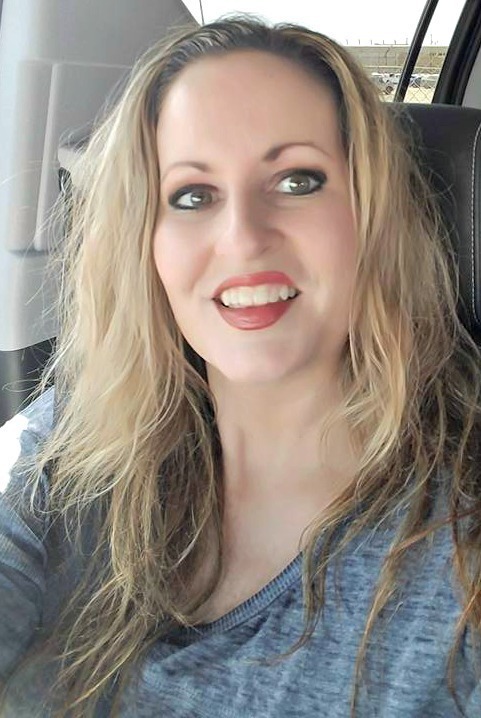 As a holistic practitioner with a demanding schedule, Cynthia Ransom was compelled to create much needed skincare products that are convenient, affordable, luxurious and truly natural….but most importantly, proven to yield genuine results. The Shaman (or ‘medicine woman’) partnered with Good Karma to share her seven oil formula she received in meditation; thus Lux 7 was born. Using the oil as the foundation, Cynthia worked with bio-chemists for over two years to perfect her nutrient dense formulations. Once finalized, simplifying the beauty process was realized by taking four of her products; a daily moisturizer, a skin refining serum, an eye cream and a night cream and combining them into ONE JAR. Thus Lux 7 All-in-One Face Cream was born. 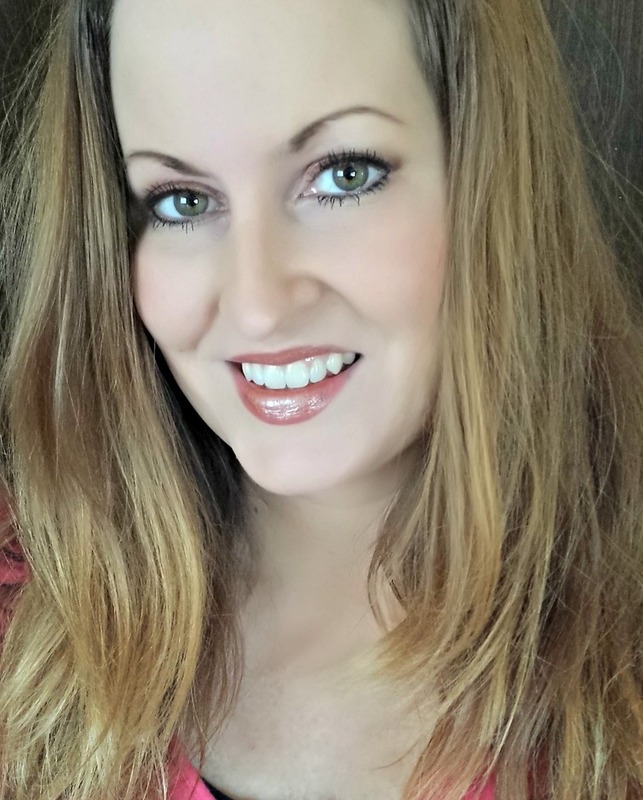 Using her holistic science knowledge and experience, Cynthia also helped to pioneer a new process used in all Good Karma products; Bio-Fresh™ is advanced homeopathy that helps to preserve the integrity of ingredients and direct the botanicals to work in synergy, creating beautiful complexions. And of course, they kept the original seven oil recipe as Lux 7 Rejuvenating Facial Oil. Good Karma Skincare’s ingredients are derived from 100% natural and renewable resources. Cynthia’s Holistic background takes it even further, banning many unsafe natural and hidden ingredients commonly found in other products. Good Karma proudly boasts; “We don’t test on animals, we feed them”. As a matter of fact, a portion of every sale supports their program Beauty feeds the Beasts™, which provides a meal for an animal in a shelter. Now that’s Good Karma! I received a sample of Lux 7 All-in-One Face Cream to review and I have been using it for two weeks straight, both morning and night. The first thing I noticed was the light, creamy texture. After cleansing, I apply it all over my face, neck and chest area. It absorbs completely and makes my skin feel nice and refreshed. As the days went by, I noticed that my skin looks so much younger. Any lines I was worried about have been reduced significantly. I never get greasy looking during the day the way I do with other day creams. Lux 7 All-in-One Face Cream is the perfect day and night cream and I would definitely recommend it to busy moms who don't have a lot of time to pamper themselves. It is very affordable, too! It is so much cheaper to have just one cream that does it all instead of 3-4 different ones that take up space, plus your money. Good Karma Face Cream makes my skin glow! 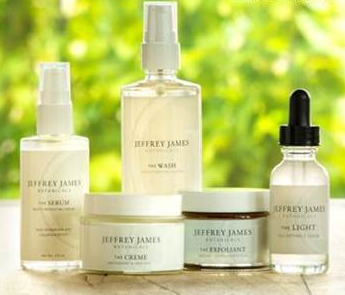 Founded in 2013, Good Karma Skincare is based on holistic science and the wisdom of a Shaman. As a traditional Naturopath, our founder Cynthia Ransom believed it was possible to achieve real results using therapeutic dosages of nutrients instead of chemicals AND do it in a simplified manner. 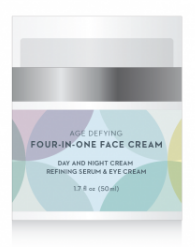 Taking her four top products and putting them in one jar took 2 years to prefect; Lux 7 Four in One Face Cream is a game changer in the beauty arena. Previously concentrating on local clientele, Good Karma is now ready to go national because Everyone Deserves Good Karma! How? It's easy! Just enter to win using the Giveaway Tool form below. Good luck! Christie Brinkley is a gorgeous woman. There is no doubt about it. She is 61 years old and looks amazing! She has developed her own skin care line called Christie Brinkley Authentic Skincare. Inspired by the vision of supermodel, actress and mother of three, Christie Brinkley, the Christie Brinkley Authentic Skincare Collection addresses multiple signs of aging and contains products that are formulated to help defend against Infrared damage. 54% of the rays that reach the earth are Infrared rays, and this breakthrough product line is among the first in the US to defend against damage from Infrared rays. With a range of products from facial cleansers to eye-brightening serums, the Christie Brinkley Authentic Skincare Collection lets every woman have effortlessly healthy looking and radiant skin. 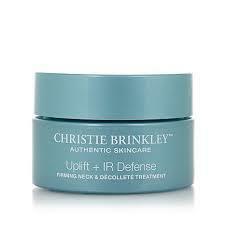 I received a sample of Christie Brinkley 's Firming Neck & Decollete Treatment to review. Firming Neck & Decollete Treatment is a luxurious, fast working cream that targets the décolleté and neck area with ingredients that help firm, smooth, brighten and rejuvenate the look of the delicate skin of the neck and chest. 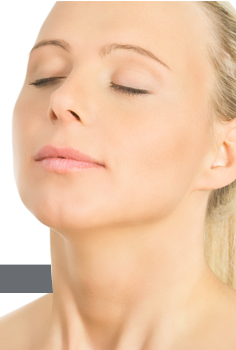 Uplift supports skin’s natural collagen and elastin production for a firmer, smoother neckline. I have been using this product for about a week and I have noticed a huge improvement in my skin from the very first application. My fine lines seem to have vanished. My skin feels so much tighter on my neck and upper chest area. I love this cream! I also cannot wait to try the rest of this line. Miracle Skin Transformer’s Triple Active Night Treatment combines the power of 3 multi-functional night creams into one jar. 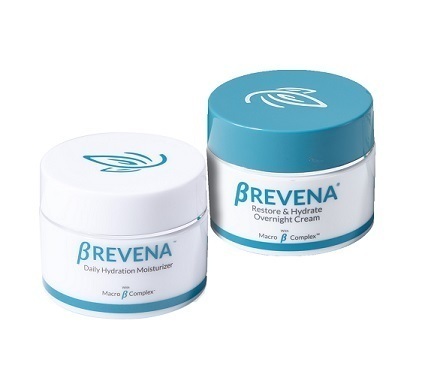 This super luxurious cream works to diminish the appearance of lines and wrinkles, improve skin’s elasticity and helps firm and tone while you sleep. 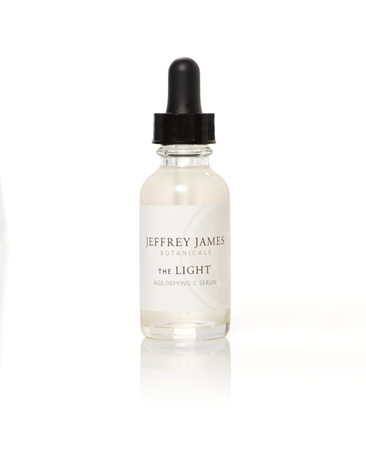 Immediately, skin is quenched with powerful hydrators, derived from sunflowers, proven to improve hydration by up to 65% within the first three hours. Skin is firmer and deep wrinkle lines are less visible with Bamboo Silica, Pea Extract and Glucosamine in a targeted complex that stimulates collagen synthesis naturally, resulting in younger-looking skin. Ultrasomes, enzymes encapsulated in lipids derived from soybeans, renew and help repair the appearance of your skin’s photo-damaged cells. Edelwiess Stem Cell’s potent antioxidants help with the regeneration of cells, reducing the appearance of fine lines and wrinkles. My thoughts: Triple Active Night Treatment is amazing! I use it every night after I wash my face. It is my favorite night cream ever! It absorbs perfectly and my skin is left radiant and beautiful. I can honestly say that I have really no wrinkles! My skin looks firm and very youthful! 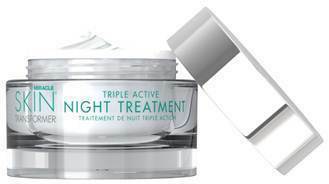 The Triple Active Night Treatment retails for $78 and is available at ULTA, Nordstrom and Kohl’s stores, and online via www.miracleskintransformer.com, www.ULTA.com,www.nordstrom.com and www.kohl’s.com. 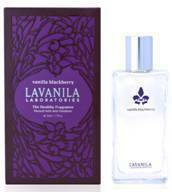 Make Lavanila Vanilla Blackberry your go-to fall fragrance! My thoughts: I absolutely love this deliciously sweet fragrance of Vanilla Blackberry. I receive many compliments when I wear it. 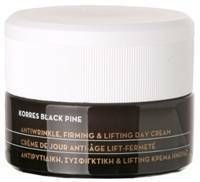 Black Pine Firming, Lifting, & Anti-Wrinkle Night Cream from Korres pampers your skin despite the dropping temperatures! My thoughts: Black Pine Firming, Lifting, & Anti-Wrinkle Night Cream from Korres leaves my skin moisturized and supple. It is the perfect night cream. My thoughts: I never really use hair accessories such as headbands, but I do think this would be an adorable look for one of my daughters! Disclaimer: I was sent samples of a few of these products to review and to keep. All opinions are my own. 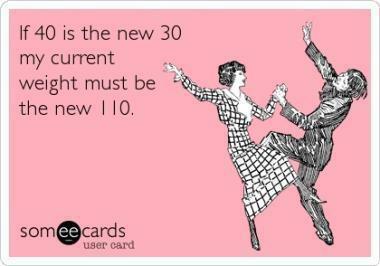 They say 40 is the new 30. Women are feeling more confident, energized and enthused to face age with grace. They are looking to harness their inner beauty and radiate it all over! 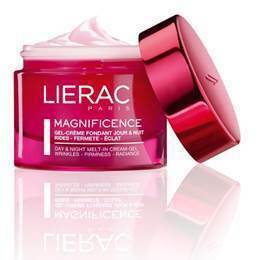 So, for the woman who wants to remain authentically beautiful without painful and expensive procedures, Lierac’s new Magnificence Collection has her in mind. 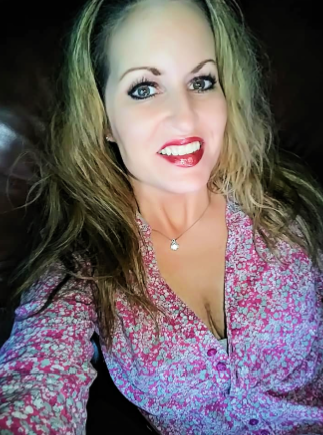 Being 40 has never looked so good or MAGNIFICENT! Highly powerful red anti-aging serum with a sensorial texture that immediately fuses with the skin. Twice as concentrated* in D-Glyox complex (registered patent) and enriched with an extract of hibiscus flower, it reactivates the skin's youth, revitalizes it from deep within and instantly reveals its radiance. 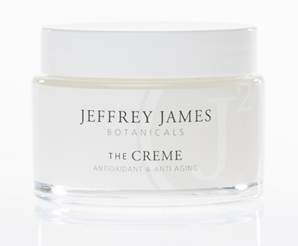 This rich and velvety cream is highly concentrated in patented D-Glyox complex and enriched with botanical oils that nourish the skin to instantly smooth and improve skin texture. 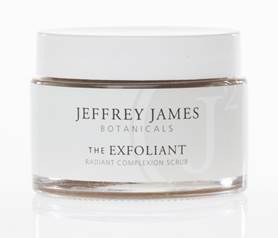 It is also formulated with shea butter and marula oil to ensure immediate and lasting beautiful skin. 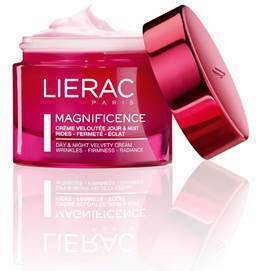 This light and fresh cream-gel texture is enriched with rice powder to instantly mattify and smooth skin. Highly concentrated in patented D-Glyox complex and enriched moisturising agents, it reactivates the skin's renewal process and instantly reveals radiance. A high precision anti-aging treatment with a smooth, creamy texture that corrects and erases the signs of aging while revealing beautiful eyes. Highly concentrated in D-Glyox complex (registered patent) and enriched with red vine, it reactivates the youth of the eyes and corrects puffiness and dark circles with effective results. LIERAC innovation is incorporated into the “precision” brush, which allows for perfectly targeted application of the fragile eye contour area. Fragrance free formula is optimum for tolerance. My Thoughts: I was sent Lierac's Day & Night Anti-Aging Cream for Dry Skin to review. I have been using it for almost three weeks now. I always use it at night after cleansing. I apply it all over my face, neck and chest area. I have found that it absorbs very well and my skin always looks gorgeous, firm, radiant and young when I wake up in the morning. This cream has a very nice texture and is not the least bit greasy. It is perfect and I really love it! Since I absolutely love KORRES products, I would like to introduce you to the new KORRES skincare collection called Black Pine. This breakthrough anti-aging range offers advanced firming, contouring, and lifting; and will debut with a day cream, night cream, eye cream and serum. My thoughts: I am so excited about the Black Pine Collection! I received a sample of the Black Pine Night Cream to review. I love how lightweight it is, and how it fully absorbs into my skin. I use it at night after cleansing my face and I apply it to my face, neck and chest area. It leaves my skin feeling tighter and more toned. 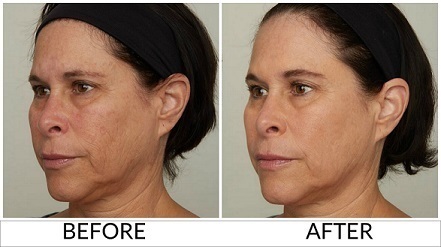 It is amazing to see that my fine lines are plumped out and diminished. My skin looks radiant. I can't wait to try the rest of the collection!